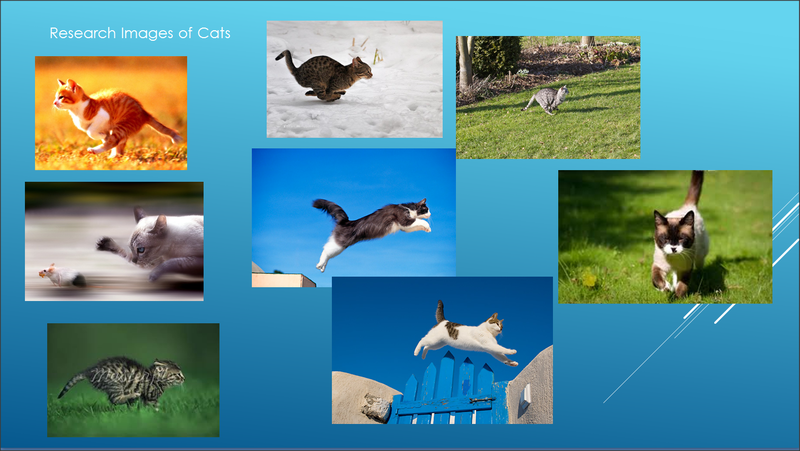 Just an update from my last post for the Cat Chase Project. Today I have only collected research and I have yet to start doing rough animatics for my shots. But here are some of the research that I have collected for me to use in my pre-production and in my production stage. 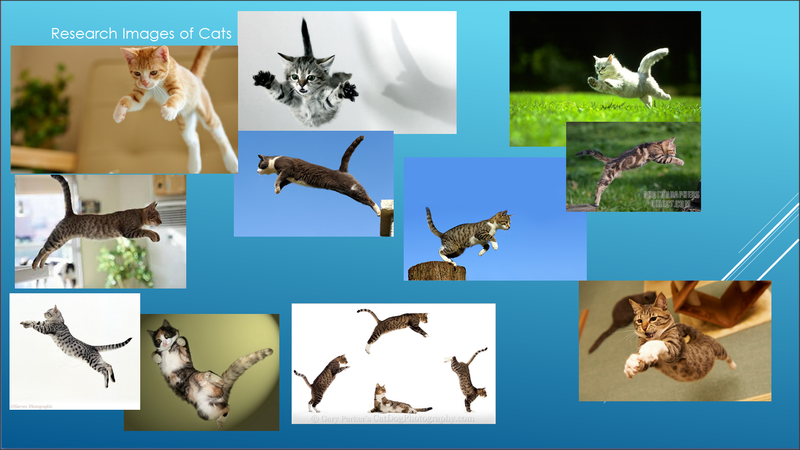 Here are some internet images of cats in various jumping poses and angles. This will help be get a better understanding of how their body is positioned and structured when producing sketches and animatic for my shots. As well helpful when it comes to the production stage. As well as collecting images I have also found videos from Youtube that will help me reference wise with Shot_04. 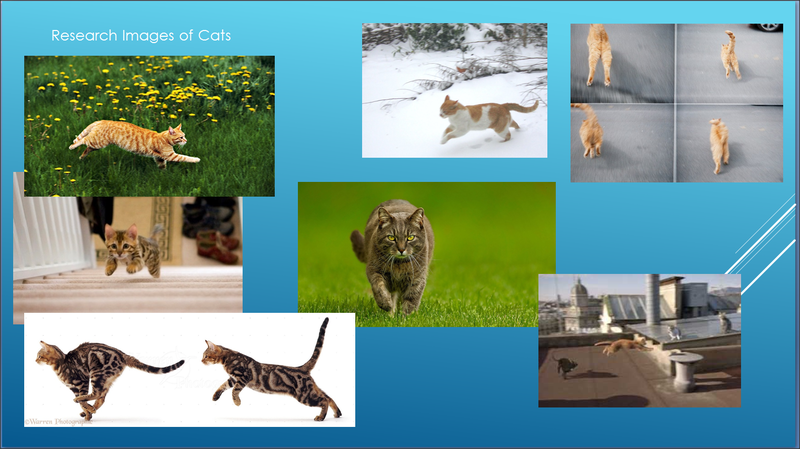 The drifting of the cats will help me get an idea on how they turn corners when they are running. Also the way the cats turn and are sliding across the floor gives it that cartoon look and style which is very helpful reference. Here are more videos that will also be helpful. The next blog update for this project I should have by then a few rough animatics to show.